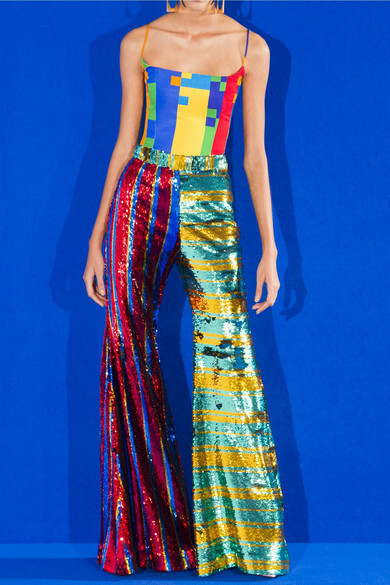 Halpern's studio playlist blasts out tracks by the likes of Candi Staton and The Jacksons, so it's no wonder the brand's creations are always disco-ready. 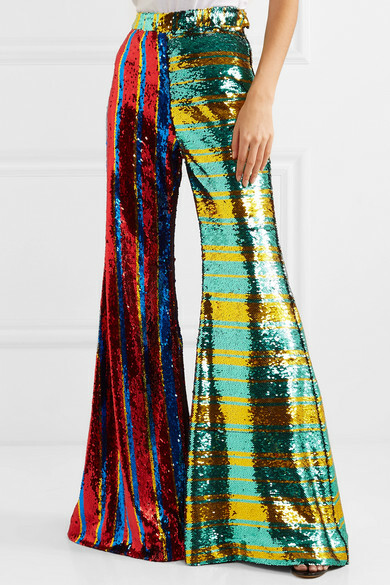 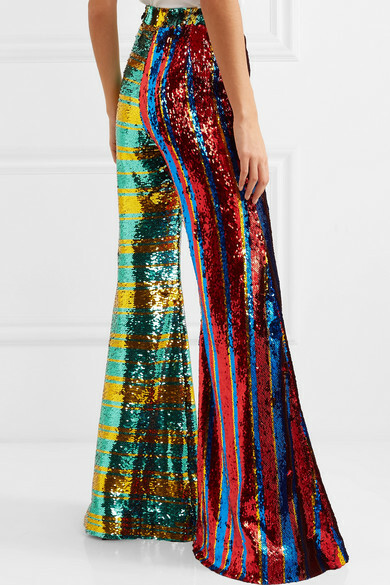 Made in the UK from soft tulle, these wide-leg pants are covered in scores of kaleidoscopic sequins. 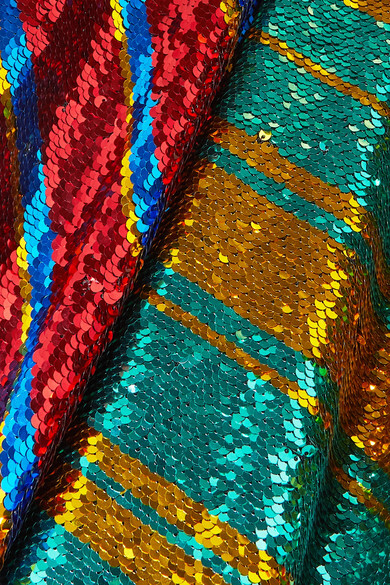 During an exclusive chat, designer Michael told us his favorite time to see them worn is at dusk, when the embellishments will really shimmer. 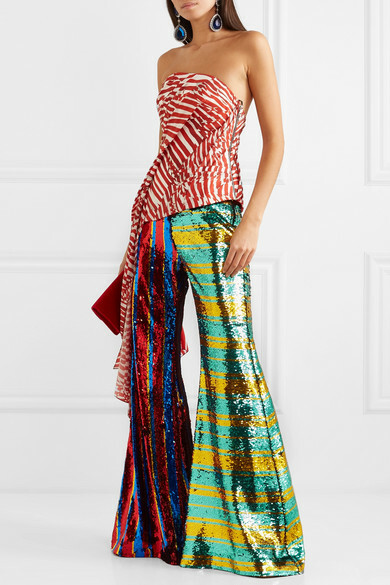 Shown here with: Halpern Top, Gucci Shoulder bag, Alexandre Vauthier Sandals, Balenciaga Earrings.